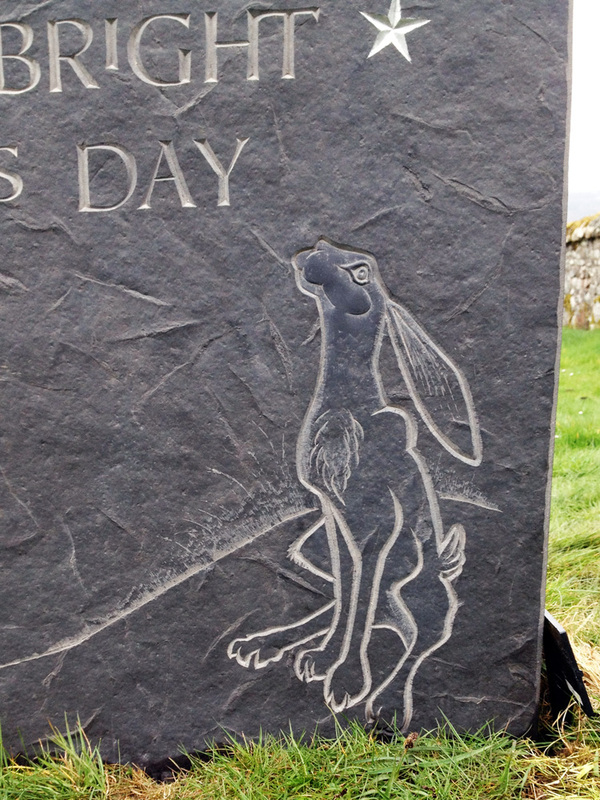 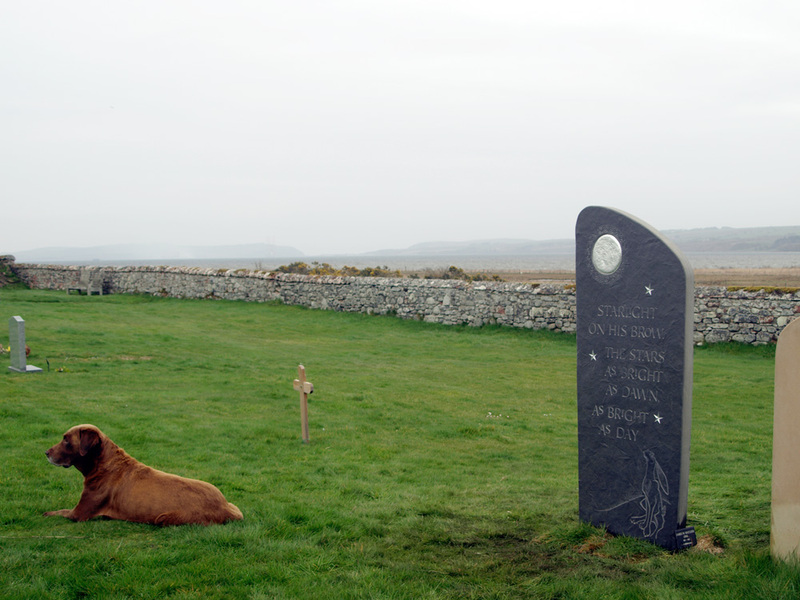 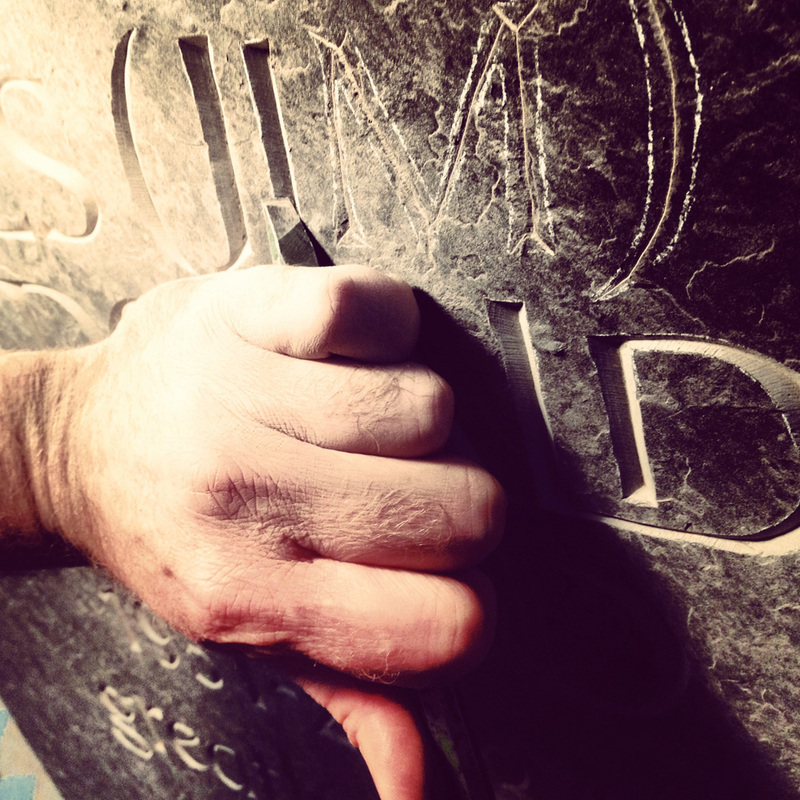 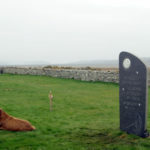 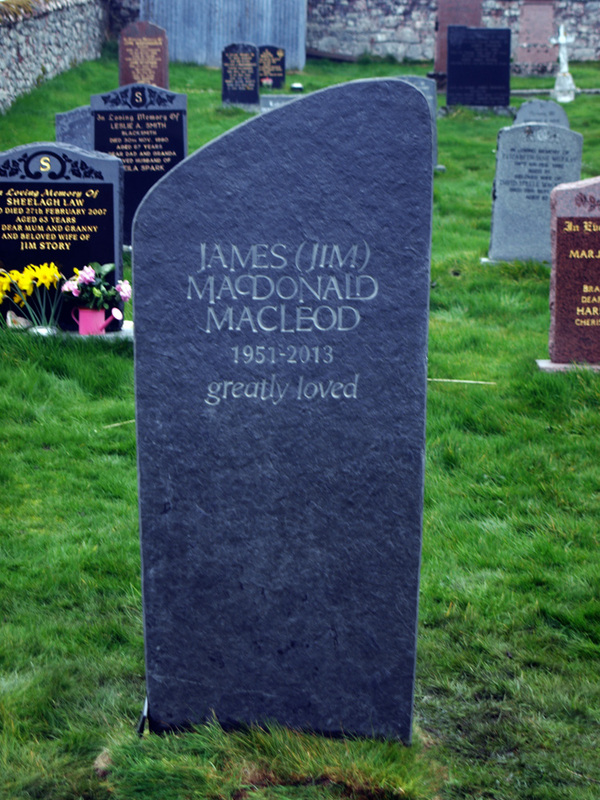 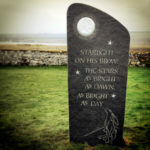 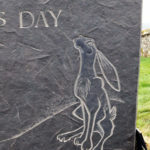 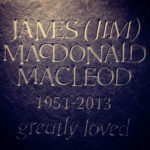 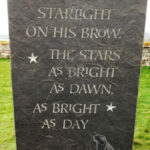 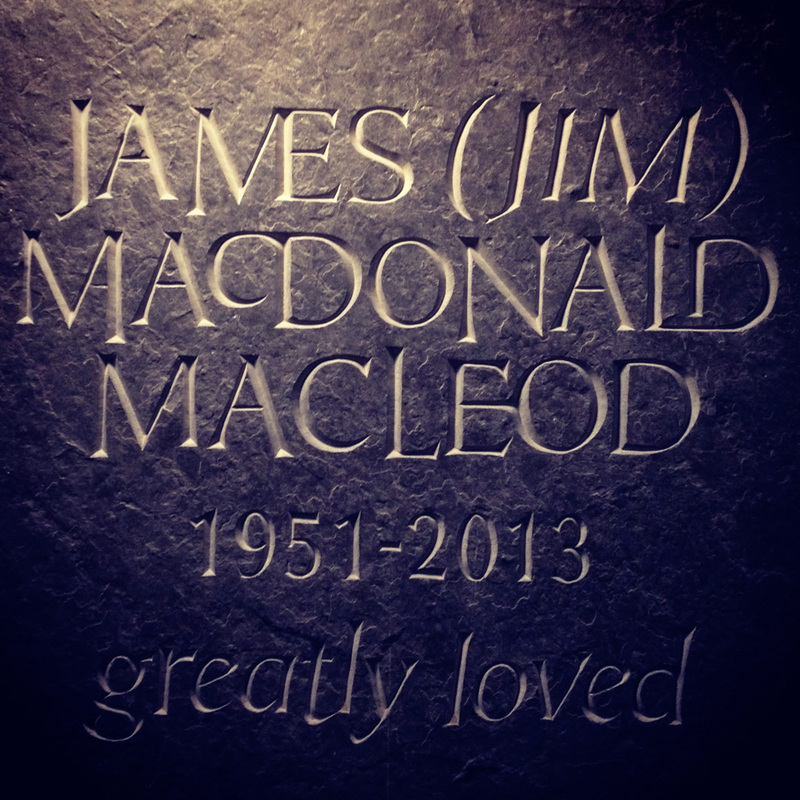 This memorial headstone is a large slab of Caithness stone carved on both sides. 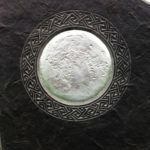 The inscription is on the front with a few lines of poetry on the reverse with a carving of a hare gazing at a full moon surrounded by intricate Pictish key pattern. 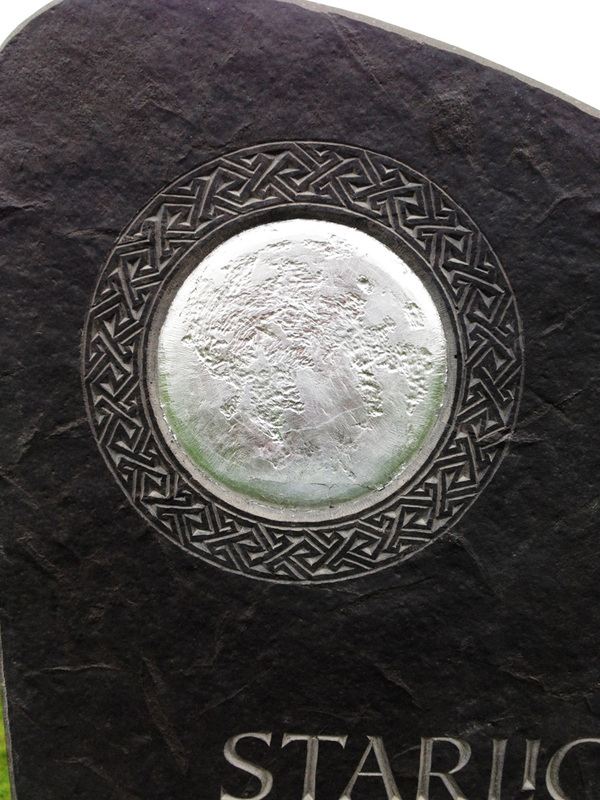 The moon and stars are finished with silver leaf. 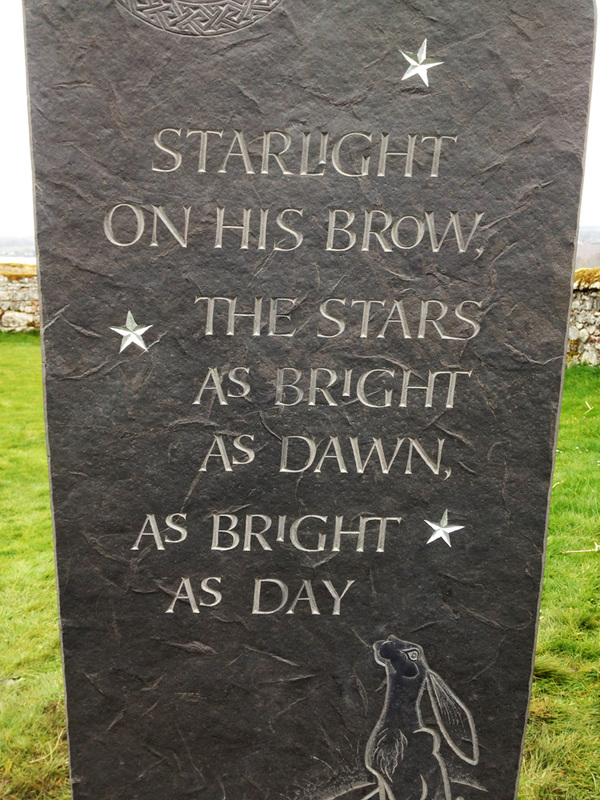 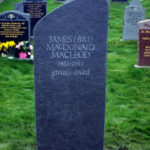 The stone is in the lovely Kirkmichael Graveyard near Jemimaville, overlooking an RSPB reserve on the Cromarty Firth.